If She’s Pretty, Then She’s Not Me | "It's Not Wine, it's Mommy Juice!" First this was me. Then it wasn’t. Mgazi: Mommy! Mommy! Look at this picture I drew! Me: What a good drawing, Mgazi. You are a talented artist. Is that me? 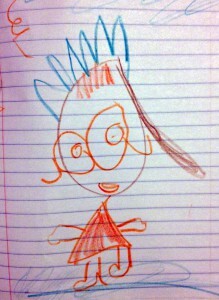 This entry was posted in My Funny Kids and tagged Fail, Mgazi by Kristine Castagnaro. Bookmark the permalink. Hahahah!!! So funny Gotta love the kid drawlings. 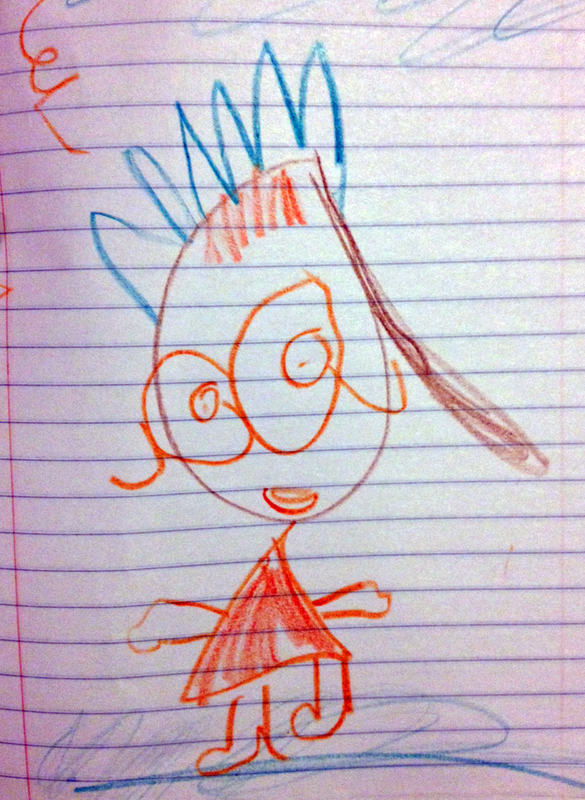 One of the smartest things my Mom taught me was (when i have NO idea what the poop they just drew), “Honey, that is amazing, can you tell me ALL about it?” – this saved me from asking why my daughter drew a car accident and people throwing up blood. It was a rollercoaster and happy screams.